UPDATE - March 5, 2013: The "abduction" has been confirmed as a hoax, says Surrey RCMP who located the vehicle and spoke to the people involved with help from public tips. "Our investigators treated this case as a serious incident from the time we received the call and this ultimately lead to its successful conclusion. Unfortunately the large amount of time and resources spent on this specific case could have been dedicated towards investigating real incidents," said RCMP Cpl. Bert Paquet in a news release. 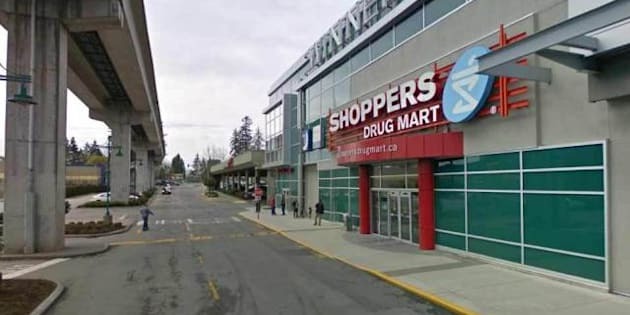 Surrey RCMP are calling for witnesses in an apparent kidnapping at the Central City Shopping Centre. Three men were seen getting out of a light-coloured 1990s Mercedes Benz in front of a Shoppers Drug Mart at 5:50 p.m. Saturday. Two men appeared to force the third into the trunk then drove off towards Old Yale Road, the RCMP reported in a Saturday news release. Police described the car as having a sunroof, no tinted windows and a piece of paper resembling a Temporary Operators Permit in the right rear window. "Until proven otherwise and for obvious safety reasons, we are assuming this to be a real incident," Surrey RCMP Cpl. Bert Paquet said in a news release.